We are a remarkable entity, engaged in manufacturing high quality Wire Harness for our esteemed clients. GURU ELECTRICALS is located in Faridabad, the industrial heart of Haryana, the company was established in 2010 with a small setup. 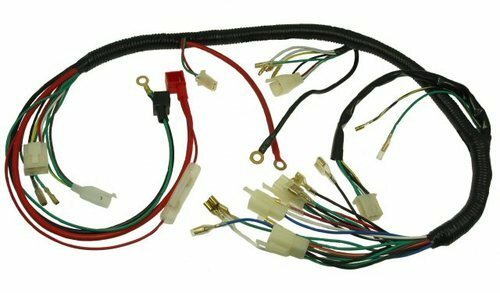 The company was founded by Mr. H.V Sharma with the aim of enter in to Supply of all type of wiring harness for auto electricals machined components to Original Equipments Manufactures.Today GURU ELECTRICALS is the well known name in the field and enhancing image by continual improvement in the product. Apart from this has a very good setup for design facility and modern updated software are available there. The production with quality and customer satisfaction within the certain time period is its aim. GURU ELECTRICAL has built up its association with its clientele by proven reliability resourcefulness, timely completion and quality construction in every assignment undertaken by them. GURU ELECTRICAL, has bagged repeat orders from its clientele.